The Moral Narcissism of Immigration "Compassion"
Programming note: On Wednesday afternoon, I'll be on the radio with Toronto's peerless drivetime man John Oakley, live on Global News Radio 640 at 5pm Eastern. Meanwhile, if you missed our livestream Clubland Q&A, here's the action replay. 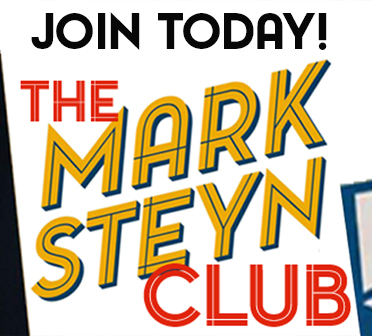 Simply click above and settle back for an hour of my answers to questions from Mark Steyn Club members around the planet. On this week's show we expanded on the related topics of my Monday column and telly appearance - the betrayal of Brexit, the left's enthusiasm for open borders, the bollardization of the western world, the remarkable similarity between a heartwarming caravan and an invasion, etc. I also came very close to open contempt for the shriveled concerns of establishment conservatism, while the left busies itself abolishing the family, abolishing biology, and abolishing citizenship. We hope you find it an entertaining hour. Thank you for all your thoughts on the various subjects raised. If I didn't answer your question, we'll be doing one of our video editions of Mark's Mailbox in a couple of days and I'll try to get to the missed queries then. STEYN: --quotes in the piece Karl Marx pointing out that when... large numbers of Irishmen went to England, it suited the bosses because it depressed wages... It also created two groups of the working class, so that the English working class resented the Irish working class, and the Irish working class resented the English working class, so it was in the bosses' interest. STEYN: --a nation of eighteen million people. What's compassionate about denuding developing countries of their best and brightest, so that if you want to see a doctor in Somalia, you're screwed because all the Somali doctors are in Chicago? 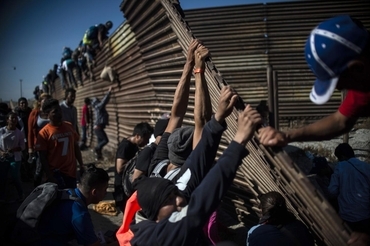 CARLSON: --why are we surprised when El Salvador is a mess? If you're not yet a Steyn Club member but you're minded to consider signing up, you can find out more info here - and don't forget, for any Steyn fans among your loved ones, there's always our special Christmas Gift Membership. This holiday season it comes with a special personalized Christmas card from yours truly and a handsomely-engraved gift-boxed USB stick with a trio of our most popular Tales for Our Time for your loved one to listen to in the car or perambulating through the wilderness or almost anywhere else. (The three tales are The Strange Case of Dr Jekyll and Mr Hyde, The Time Machine and The Thirty-Nine Steps.) For more details on our special Christmas Gift Membership, see here. Speaking of Christmas presents with a difference, there's a stateroom with your loved one's name on it on the second Mark Steyn cruise soon - or, alternatively, two on the aisle for Steyn and Dennis Miller in Pennsylvania and western NewYork. See you on the radio with John Oakley at 5pm Eastern on Wednesday. Great cultures and their ensuing societies, come together, thrive, and then fall apart. Mark Steyn is the best analyst, like Lucretius, and Catullus, of the falling apart period. He has no answers, because he knows that there are none. Dissolution and decadence, like senility and the pangs of old age, are not reversible. He is a wonderful, cynical and immensley charming commentator and chronicler, with his finger perfectly pressed upon the pulse. So we beat our breasts and lament the passing of sweeter, more innocent times. To no avail. A more sensible approach, if only because it⁬ is less painful, is to live WITHIN your times, love your times, and do best what your times require. We (the West) are in a death spiral, and the significant aspect of suicide is that...it is devoutly wished - even by those who furiously rebel against it. So, instead of beating our breasts and frantically screaming like children denied, we should rather welcome everything and anything that encourages and hastens our demise, with a calm, stoical, and determined level-headedness. It is, after all, not the end of THE world, just the end of OUR world. The political flux will change nothing, but might only delay the inevitable. Despite the moral anxieties that always accompany dissolution, there is a wonderful and thrilling aspect to the modern world, which is indeed fully commeasurate with our fantasies. Why can't we be happy with what we have, without being fearful of what we are certain to lose ? I have one question that no one seems to have asked yet and if so then I'm sorry for not paying attention. If these migrants are so gifted, why has there been no response from their home nations to keep them in their own countries? Maybe because their nation's rulers feel that either they don't fit into their grand design or that the less people, the better. If Soviet scientists decided to defect, the KGB would be all over on them. Apparently, you have to be a scientist or a "criminal" in their eyes to be important enough to keep in their country. Regarding American doctors, the "best and brightest" have been going into finance for the last 30 years. The incomes are incredible and you don't have to spend the years training and come out of school with a mountain of debt. Then there are the overpaid government employee positions with defined benefit pensions that close to what a doctor would make without the responsibilities. I look at myself and think that I was an idiot for going into engineering. My other big regret is that my parents weren't rich. If I may comment on the reason why there aren't many Americans who are willing to become doctors there are a few reasons. One of which is the possibility of being sued. Young Americans care about feeling happy and the last thing any of them want to do is to be responsible for someone getting sicker or dead. Many who do often commit suicide and is one of the more likely professions in which people often commit suicide when they fail badly at it. The other is the sight of other people's bodily fluids. Not many can stomach what comes out of a persons body. As for the other jobs, has to do with pride. "You'd never see me doing that" is the common response to a middle class job. In their minds, if you're not making millions you're poor. Being in the middle is considered the worst possible position. They'd rather be on Welfare than work at a job that they don't like and get paid for it. Hey Mark, can you get Nassim Nicholas Taleb to come on the next cruise? If yes, I'm in for sure. What do you say? The Macedonian Content Farmer bit HAHAHAHA dying. Paul Ryan is one of the many reasons why Trump's presidency is being subverted. Two years past and the Pinocchio we have representing the Republican Party only comes to life when someone pulls his strings. If only his nose grew when he spoke then we'd seen this coming. Compassion, compassion, compassion. We've heard this all before an what has changed in these nations when we were compassionate? Nothing, that's what. Nothing changed, everything stays the same and things get worse. Venezuela's inflation rate is predicted to reach 1,000,000% by the end of the year but it's OK since you can just go to America and you don't have to worry about it. The only compassion being shown is by the people in our nation and not by the people who are coming here. You said it Mark on how people don't think about consequences regarding their actions. Liberal compassion is a narcotic in the western world and the moment you make them go cold turkey they lash out in rage. Pretty soon another act of "compassion" will be made when our current economic success will hit rock bottom. Three bubbles are going to burst: Bonds, housing, and stocks. On top of that, overall college debt reached $1.5 trillion and is rising. These students believe that the government will pay it for them. This is the country that we live in. We never learn from our mistakes and we teach the same things that set us all up for failure. Nothing new on here? I hope that doesn't mean we start getting "It's a Charlie Brown Christmas" and "How the Grinch Stole Christmas" for the next month. The doctor Brain Drain described in the Angela Nagle article cites Ethiopia (80 Million), not Somalia.The figures are from Foreign Policy journal June 11, 2010. Mark, Your comments on Speaker Ryan and his sabotage of the Trump agenda are sadly true. But the Speaker almost screwed up the tax cuts as well. He and Kevin Brady (Chairman of the Ways and Means Committee) wasted months pushing the idea of a value-added tax to replace the corporate income tax. That idea received no support from businesses or the public or the President. In the end, a cut in corporate income tax rates was passed before year-end, but the rest of the Trump agenda was never acted upon. The compassion angle is just a ruse. It's really more of a weapon to get what they want which is to import voters to give them more power. Agree. Whatever rhetoric works to get the goal. To take the point another step, why is it a 'Left' person gets the expensive, important media print and air time for saying what everyone else has been saying all along (and with better consistency?) Why is it somehow 'better' or 'higher weighted' or more 'important'? It keeps conditioning people to accept a sort of 'royalty' vs 'rubes' conceit. How much of it is a catharsis tactic that validates a small concession to satisfy an audience, but not meant to allow any real change to happen? Eventually reality catches up with fantasy (ideology) and, hopefully, before the fantasists have killed or ruined too many who don't conform to their ideology, they cast about for one of their own who happens to be espousing something closer to reality. Is the party of slavery which morphed into the party of totalitarian compassion now meandering away from the brink of suicide by compassion? Hmm! Not yet, don't think. Heard an 'old school' humanitarian person blurt angrily recently, "I can't stand these humanitarians! They don't care if someone dies so long as their comfort zone isn't rattled!" And not talking 'dies' as in a figure of speech, from someone who'd just attended a funeral service. It's easy to speak grand things and lecture everyone when all is comfortable - and all these people live vuuurrrry well. But when the you-know-what hits the fan, it's shocking how many just vanish,or roll up in a ball and tell everyone they can't emotionally 'handle it' so everyone else the 'rubes' have one less set of hands to help lift the roof off the collapsed house to save the people trapped inside. We don't know who we really are or other people really are until the big troubles arrive, then we see the true characters - good and bad. Sheep from the goats sort of thing. Though actual goats are actually pretty funny most of the time, until they panic and do something really, really... gah! But if it gets that bad, then we can eat them, so it sort of works out, and then we can go repair what they'd stupidly busted. Your interesting choice of 'fantasists' prompts some thoughts. These generations have been raised on fantasy in movies, TV. The dramas are realistic, but never felt, just watched. Mostly movies/TV shows provoke intense feelings - sadness, happy, fear, disgust, terror , helplessness (media seems to prefer producing the nastier effects). Certainly the newest media aimed at the youth is hyper-saturating all this. Wondering if that has been a contributing factor/grooming to this rather detached, cold-hearted culture niche. I believe this is an outgrowth of our society's focus on the other person, rather than oneself. You can be a perfectly capable person, but when all you see on the tube and the web are seeming idiots who are seemingly making money hand over fist, it's hard to retain one's bearings. I know a bit whereof I speak. I took a big chance some 25 years ago, and I basically failed. (I'm not complaining, I enjoy my life quite a bit.) But I am very over-educated relative to my work peers, and very under-successful relative to my school peers! It's not easy to see bozos reveling in their lives and my less school-successful peers enjoying the good life while I struggle day to day, but I accept that as part of the downside of taking a chance. I doubt most have that ability to ignore the other while working harder on oneself. It's far easier to just be overcome with envy and give up and just ask the government to take from others, as opposed to keeping the nose to the grindstone to lift oneself up. Looking forward to the video follow up. George, the part you mention about having the ability to ignore the other while working harder on yourself is reminding me of that trap of "needing to be seen as." I fall into that trap frequently and it turns out to be a collassal waste of time. I love that little Emily Dickinson poem, "I'm Nobody." An older, much wiser good friend of mine told me once that if we all could pack our worries and troubles in a suitcase and toss it into a pile in the middle of a room, we would all be diving for our own suitcase to get back again. It hit me then that there was really enough troubles to go around for everyone and we actually are much better off with whatever issues we face each day because we have the power to deal with our troubles but might never be able to deal with the next person's. I think it may have been one of our members here who said, it's none of my business what others think of me. That was pretty good. "I think it may have been one of our members here who said, it's none of my business what others think of me. That was pretty good." Wow, that is a fantastic line, I may have to steal it on occasion! If someone knows who said it, please share, to ensure proper credit. Believe it or not, one of my guiding books on ignoring others' opinions was a simple autobiography of sorts by Prof. Feynman, a Nobel prize winning physics prof and all around impressario. He wrote two books that were essentially compilations of stories from his highly entertaining life. The second was titled "What do you care what other people think of you?" He said it was something his first wife was mercilessly in reminding him of on a regular basis! I took that advice to heart, and would encourage others to do the same. George, about the member who posted the quote, my hint is the initials are KS and they'll remember better than who wrote: it's none of my business what others think of me. It kind of takes the "mind your own business" saying and encases it in cement. That's about the best one I think I heard to getting on with enjoying one's life. The world would all be much better off if the inhabitants let that one sink in. Just think, group think would disappear almost overnight. Fake compassion, as well. It's also a "colossal" waste of time worrying about life's small things (personally, misspellings and incorrect grammar drive me nuts. Some holdover worries come out of a Catholic elementary education that are difficult to get over). What's the big deal anyway? You learn from mistakes, if you catch them, that is. Your idea parallels Jordan Peterson's ideas in his book, "12 Rules for Life: An Antidote to Chaos." Your saying sounds a bit like his #6: Set your house in perfect order before you criticize the world. You wouldn't believe the difference just practicing one of his suggestions (clean up your room!) made in my attitude. Sometimes it's little changes we make in our life that lead to a whole new mindset. As a country, we could clean up our own little immigration laws and get rid of a ton of chaos. Thanks for your recommendation. I'll check Prof. Feynman out. So many books, so little time. ....recognizing that great minds think alike George, I think you'll find that Dr JB Peterson is also on that plane with you about how to change the world. Thanks for that, I will look up his work in that regard. I've seen quite a few of his videos and find them quite compelling, as is his interview with Mark. Contrast what the MSM says about asylum and open borders for the USA with what they are saying about the young man killed by the Sentinelese just for setting foot on the island and trying to give them gifts such that they might listen to his religious message. Ill advised, for sure. But he was risking himself for what he perceived as their well-being, and was killed for it. And all liberal outlets are cheering his murder as another foolish Christian getting what he deserved. Quite the contrast in tolerance for an "invader". Fantastic observation. I had a short discussion about that very young man with my wife the other day, it was quite similar to your observation, though not as well articulated. People often cite the double standard of the Left. I say, there is only one standard for the Left: they are right, everyone else is wrong. The issue doesn't matter, the people don't matter. They're right, no matter what, everyone else is wrong, no matter what. Actually the Blue Red switch occurred at the 1980 pooled TV election coverage when Reagan beat Carter. Before that Democrats were Red, but as you point out the liberals were "uncomfortable with being reminded that Red was the color of international socialism. There is a You Tube video showing David Brinkley uncomfortably saying that Red was now used for Republication because ... well R for Reagan. Lowell, you are one of the very few people who still remember this Orwellian switcheroo. Its great to be a Steyn Club commenter! John Oakley will likely mention that the Clinton's fundraiser in Toronto was a gigantic flop. The venue was 87 % empty and Slick Willy and Crooked Hillary were not even able to give tickets away. To top it off, the stress on Billary caused her to have a monumental coughing fit . Ahhh, Canada! They should have started off with a booth at the back of a Pickle Barrel. Really appreciated this, surprised how long it took for someone to weigh in with reality-based commentary. But maybe it's simply the general media's job to make sure that is never presented. It's so tiresome to hear not a discussion, but a trading of the same old, excruciatingly narrow-framed cliche-ridden rhetoric. Absolutely, in Third World countries, the elites lord over everyone else, they depress wages, they create conditions of work scarcity and monopolies so the middle class struggles to form, a few own massive portfolios of property, so for most people, always a tenant never a homeowner. When people leave for the U.S., the lower wages they first accept are higher than what they're used to, so it's a gain. They are very frugal and used to sharing rooms to keep housing costs low, crime is low, electricity is cheaper than at home and more reliable. In the Third World, developed properties are islands of self-sufficiency - back-up generators, boreholes/water cisterns, tall walls and concertina wire, security guards. Big mansions, skyscraper offices, swank expensive restaurants are two steps off muddy streets. In Nigeria where gasoline was 4 cents a litre, but required a driver and vehicle to be tasked to wait in massive queues for days, street traffic (i.e. all commercial activity) would slowly evaporate as weeks of no gasoline deliveries stretched on. The loss to GNP is incredible. The government elites would fill up tankers of Nigerian-produced fuel at 4 cents a litre and sent them across the borders to Togo, Benin, Burkina Faso, Cameroun to sell the stuff at $4 a litre. Plenty of Nigerian gas available all over the region, but drips only for the citizens of Nigeria. Indeed the brain drain. A doctor we knew in Nigeria complained several times how hard it was 1) to run his practice and his home with all the hassles just to open the office door every day, 2) to moderate his fury at how many kids died, knowing that a year's supply of measles vaccines had spoiled on the airport tarmac because the First Lady at the time had demanded full control over the vaccine shipments, but didn't have the organizational wherewithal to expedite receipt and transfer to refrigerated facilities to profit from this niche monopoly. A year later, he packed up and left to the U.S. - able to do so thanks to the doctor shortage in the U.S. He was a very good MD, so Nigeria lost while the U.S. gained. In fact with his background, he was more knowledgeable and experienced than most US doctors we've encountered - who every year seem to be less real life and more virtual training. Absolutely, if home conditions were better, if people could invest in and build their businesses and homes without them being stolen from them, most people would stay put. A few people just naturally like to move about, but in a good way, not exploiting any nation's hospitality. But how different from Nigeria is California right now? At least Nigerians admit the situation and it has been struggling to improve, but what's California's excuse? How do they assert they're better than Nigeria? Prefer the honesty of Nigeria over the dishonesty of California. The crony corporate role in all this is not a joke and can hardly be overstated. Look at the size of airline seats in US carriers, the size of apartments in massive complexes - cramming for every cent of profit. The junk fillers in mass-produced foods. The high pesticide, high-chemical model of massive corporate agriculture. The all looks no substance products of massive stores. The tax breaks for corporations that small businesses never get - that help corporations run their competition out of business. How much time people spend of their days in traffic, driving miles from neighborhoods to salary work? Why always such a long distance from 'residential' to 'work' - with always more highways - paving over enormous swaths of land - football-field wide roads of rebar and concrete for twenty miles to connect with two hundred miles more of pavement? Always going elsewhere rather than here - but 'here' disappeared under a roadway, never to be seen again. The Trump economy has opened up demand for U.S. workers, but it seems at the moment that the corporations haven't yet accepted to pay better wages. They've been riding too long on their model of cheap, disposable labor to want to give it up. Education Inc.(benefiting from non-profit tax status) keeps raising the price of degrees. Vicious. If Harvard has an endowment measured in the $billions, then does it appear to the innocent bystander that perhaps they've wildly overcharged for everything and are using the tuition/grant/tax breaks for other purposes? Why are tax-payer subsidized state universities now so expensive? How much subsidy do they charge to taxpayers and to paying students to pay for the illegals they say they need to help? Why are they always building another swish building that is hardly used? These problems across the globe that pull and push people here and there have been created by a deliberate set of interlocking policies, not by 'natural' forces of a truly free market on a level playing field. All the MSM is in full project fear mode over here. Nobody believes the complete and utter rubbish. 8% lower GDP. Even saying our fresh water will be threatened. They really take us all for fools. I do know where the EUSSR missing 5% of its budget disappears now. Along with all the George Soros money. The USA should deport him, he is just a greedy old fool and $20 billion is just not enough for him. Steyn is indeed "the great sayer of the unsayable", as Martin Amis observed. Whether it's London, Melbourne, Vancouver or Chicago, it's becoming plainly obvious that large scale multiculturalism means that "where you are becomes the place the migrants left". And although she emphasised the adverse effect of an imported work force on the native working class, Angela Nagle overlooked the down-sides of migration for the host country such as systemic welfare rorting (which Mark has pointed out for years, most recently in the discussion onboard with Michele Bachmann), and the huge drain on resources such as healthcare. Steyn: "Insofar as there is any economic benefit to mass immigration, it's more than entirely wiped out by chain importation of elderly dependents and other clients for the Big Government state." I think there's a tendency on the left and the right as well to pick a side and not really think through the full implications of every issue. On immigration the lefties luxuriate in their sanctimonious concern for each and every downtrodden person from the third world, secure in the faith that the hard hearted people who disagree with them will somehow protect them from the consequences. Meanwhile I vote against every environmental initiative and tax increase, confident that our environment is way cleaner than it needs to be and that the government has enough money to get by. Of course the difference here is that I'm actually right and they're wrong. Reading through to the end of the Angela Nagle's essay, sent up even more red flags that I can't ever trust the Left. It's a piece with a few extremely good insights into how labor works and how we as a country are on the wrong path and as a whole are doing a disservice to the world. That's where I have to curtail my praise for Angela Nagle's opinion piece. From my point of view, it seems to be ultimately about blaming the employers and companies that hire people. She blames Trump for rallying voters around building a wall when that was just one of the issues he raised in the campaign. He has been painted as someone who sparks antagonism against immigrants. Sorry, Charlie! He has repeated many times that he wants a controlled system of immigration that brings in people who become assets and not drains on our economy. He wants a strong America. What is wrong with selling that to the voters? Trump advocates for legal immigration and if you can't mention that, you have your Leftist ideological biases' dial turned way up. I read other examples of this in her piece. She mentioned the part of families being torn apart at the border. That was a policy in place under Obama and the Left was crickets. She points out how NAFTA hurts Mexican interests but never mention Trumps success at taking down NAFTA. Of course, it still remains to be seen what Congress does with his revised treaty. There's the comparison between England and Ireland which has open border policies to the USA, which on the books, does not. Is that not confusing her message? I thought so. Also, quoting Marx was an interesting aside but stating that the competition between two groups of low earners helps big business omitted an explanation of how. How would Marx know? How would he feel if he had no money to buy a loaf of bread and perhaps, just perhaps, the imported low wage earner would be happy and grateful to finally have bread in his or her stomach and something to feed his or her family. How do these thinkers know that the imported wage earners are not for the most part happy to be earning something and not home starving and stealing for food because their corrupt governments don't care about them. My Irish paternal grandparents met in Edinburgh when there was no work in Ireland. I never heard them rail against the horrible Scottish people. Maybe imported workers aspire to be like their host countriy's citizens, maybe they are full of thanks for their host country in their hearts. Somethings, like respect and admiration, grow over time. Would Marx understand that? Did he write about that? I believe Angela Nagle has written down some excellent conversation starting points but I think her eloquent words are missing the target of the real problems this world can begin to solve if we continue talking about these issues. Take her question of what would the authentic position of the Left on immigration look like? Who would ever know because "authentic" is not a word I would ascribe to the Left. But in all fairness, have the Republicans come up with one either? Which reminds me, after Trump was elected they had no alternate health care plan in place after having plenty of time to prepare one. Both parties share blame, I won't say otherwise. She points out that Trump has not done enough to push E-verify. That is for Congress to write up a proposal to present to him. Let's see if the new Democratically controlled House takes that up. I found it on the verge of outrageous that the insanity of the Left's environmental policies and decrees were never mentioned and if there was ever a silver bullet for how we can fix the world's mass migration problems we can start by examining how the powers that be who get rich off pedaling these policies are the exact groups that are thwarting economic development and entrepreneurial aspirations of smart people in their home countries. The Progressives and their big money environmentally caring cabals are the biggest obstacle to our global migration issues. That needs to be addressed if one truly wants to reverse mass migration. There's much more in the way of unfair slant here in this piece that Angela uses to pound the bad USA, but the one that is infuriating is that she claims the USA has killed millions in the Middle East. What about ISIS, what about the terrorists there killing Christians, Jews and even other Muslims. She never mentions 9/11 and the trauma that caused. I'm getting sick of hearing how companies are the villians. They at least pay wages. The Left never pays anyone anything unless it's with our tax dollars. There are more things about this piece that really got my goat but at least, I think, Angela served up some food for thought and discussion to benefit us all. Well Fran - Angela Nagle is one of the more clever polemicists on the left and she certainly scores points on rather narrow labor issues. Did a little deeper as you have done and it her progressive bona fides become apparent. She's not far off base in blaming America for some of the bloodshed this century in the middle east but also reveals her deep seated disdain for America and like all progressives largely grants Islam a pass. Very thoughtful piece on Ms. Nagle whom is not your typical left wing crackpot but a very sharp and formidable liberal. Your essay is better written and far more insightful than anything that comes out of the Associated Press on this or any related subject. That is truly sad because the AP reaches just about every newspaper subscriber in the nation. Fran Lavery can only reach a few fellow true believers. There was so much that rattled me in Angela's piece, Roy, I really could go on for another thirty paragraphs but we weren't asked to disect it, I guess. Still, I did agree with her on some undeniable points. Overall, what she did was begin to illustrate the tangled mess the immigration problem is, why there's never any immigration reform, how we have another example of strange bedfellows, and how everyone has a hand in the cookie jar. Oh, I don't want to start revving up again. It's happy hour here in New Mexico! I appreciate your comment. Maybe the club membership reaches more than a few. Mark Steyn and the other members here inspire me to say what I think here. I hope there are more who sign up so we can hear from many more. I held back my entire life speaking the truth, maybe not even aware what was a lie, what was true. Maybe being in this club is akin to how volcanoes feel after being dormant and quiet for decades. If volcanoes spoke, we would all be "woke." Haha! Like all liberal/progressive initiatives, this "immigration compassion" is more about form than function. It gives a great deal of self-esteem to be signalling their compassion as yet another progressive virtue. There is a marked similarity in progressive celebrities adopting African of Asian children and advocating for open borders. The children become accessories in the broadening quest to seem holier than anyone else, just as touting the disappearance of national boundaries polishes their progressive/liberal credentials. Yes- Angelina Jolie's "rainbow family", with birthplace latitude-longitude coordinates indelibly on her bicep. Even the biological children had to be born in exotic places so as to keep the virtue-tattoo interesting. Angela Nagle (article link) points out that in addition to moral narcissism, the "compassionate" population policy framework supported by elites is with their own (very narrow) economic advantage in mind: "As George J. Borjas has argued, it functions as a kind of upward wealth redistribution." As they say, mass immigration is basically a Ponzi scheme. More Somali doctors in Chicago than in Mogadishu (or the rest of Somalia): Chalk up another evil to unfettered immigration. I thought it was cruel and inhuman enough to encourage poor, vastly undereducated wretches to hand over any savings that they had scraped together to unscrupulous mules who guaranteed them nothing for their money and exertions, not even their lives and limbs. Even if they "succeeded" in violating our border laws, their illegal and socioeconomic statuses here secured their futures as second-rate non-citizens. All that was further required of them in payment for their endless servitude is their eternal gratitude, and that of their kind. Exploit much? This is pretty much Democrat SOP across their spectrum of special interests. The added consideration of the Somali brain drain (yes, auto-correct, I meant what I typed) only magnifies the thoughtless depravity of that policy. One can argue about the propriety of the term "sh*thole countries", but not their underlying sh*ttiness. How will places like Honduras ever get any less sh*tty if their best and brightest (sic) are here, stoning patrols on our southern border? A not-a-doctor Somali in Los Angeles just tried to run over a bunch of identifiable Orthodox Jews. Over the Sabbath. He apparently was yelling something about Abbahu Akbar (no doubt a huge Abba fan) and had a religious book on his dashboard (not the New Testament). Sadly, we may never know his motive. Love the sarcasm Laura. Like you I can't begin to fathom what his motive might have been. The trick to covering this "puzzling attack" is to somehow avoid ever mentioning the forbidden 'I' and "M' words. Mission accomplished in most of the coverage I've encountered so far. Yes, I heard. I even watched the security camera footage that showed him taking two passes at his intended victims. If at first you don't succeed... Still, I hope this incident does not set back his medical studies. Given the gang violence in Chicago and other cities, they could use more Somali doctors, not fewer. TV show idea: Somali 911. We fellow a team of dedicated physicians at Mogadishu Memorial as they administer emergency clitoridectomies and other urgent care. I'm sure members of the cast of Captain Phillips have their SAG cards. Urgent Clitorectomy Clinics. I laughed, but only because I can see it happening here in North America in the not so distant future. CIA World Fact Book says 11 million and change as of July. The UN in all its administrative excellence says about 15 million. Or has their open borders policy attracted 60+ million this year? Remind me to tell you about my visits to Somalia in the 1980s. Siad Barre was still president, as if it mattered. Like Italy, being president of Somalia is not difficult, it's just useless. Wikipedia, re Somalians in the UK: "According to academic Laura Hammond, this mobility is common within the Somali diaspora, with many having residences in both Somalia and the UK. Somali immigrants from the more stable regions of Somalia often vacation in those areas for extended periods during the summer." Somalis have always been a highly mobile population. We used to call them nomadic. In more recent times the Issas - the branch of Somalis predominant in southern Djibouti (formerly known as the French Territory of Afars and Issas) - repair en masse to the former metropole right after the June 27 independence day celebration each year to enjoy the cooler climes (and better food, medicine, etc.) available there. Better book your Air France flight months in advance. So it's no coincidence that the Somalis from the former British Somaliland prefer the UK for their seasonal migratory urges. The former metropoles do call, don't they? "Relations with the former colonial world now have switched to the opposite extreme and the Western world often exhibits an excess of obsequiousness, but it is difficult yet to estimate the size of the bill which former colonial countries will present to the West and it is difficult to predict whether the surrender not only of its last colonies, but of everything it owns, will be sufficient for the West to clear this account." Reid, your knowledge (like those of others here, like Walt Trimmer) shows you're a true "multi"culturalist in the non-cultural-relativist sense of the term; "... now it absolves people of knowing anything about other cultures", as Mark pointed out. On "the migratory urge to wipe out a few Jews", Mark noted after after the 2008 Mumbai terror attack that: "In a well-planned attack on iconic Mumbai landmarks symbolizing great power and wealth, the "militants" nevertheless found time to divert 20 percent of their manpower to torturing and killing a handful of obscure Jews helping the city's poor in a nondescript building." Yet, as noted in the title of that piece, "Jews get killed, but Muslims feel vulnerable." "migratory urge to wipe out a few Jews". That is an excellent point, Laura, and ties in with another that Mark made on the show: the Holocaust was a uniquely *bureaucratised* genocide. It reminded me of one of Hannah Arendt's many brilliant observations: "The true goal of totalitarian propaganda is not persuasion, but organization of the polity. ... What convinces masses are not facts, and not even invented facts, but only the consistency of the system of which they are presumably part." Kate, yes. Arendt (in my view) mistakenly opined on the banality of evil. It's actually the banality of bureaucracy that was the truly wicked thing-as per Mark's observation. The other thing was the mechanization of genocide. The Spaniards were pretty good at murdering "their" Jews, but it was messy and had to be done one Jew at a time, by hand. The Ottomans got much better at genocide throughout their reign but the Germans made mass murder so much more "efficient" and clinical. The Germans and their various collaborators quite enjoyed the blood sport of murder but did resent wasting their precious bullets on single Jews, and came up with extraordinarily evil and innovative ways to more cheaply murder more Jews at one time. The new world order is No World Order: brought to you by the same people planning to take the first spaceship to Mars. And a one-way trip, to boot. Maybe Mss. Clinton, Pelosi, etc. could be persuaded to go rule there, even though it's a Red Planet. Oops. Forgot Ms. May und Frau Merkle. Red Planet - now that's funny. I think in their case they click their heels together and say, "There's no place like home." I don't believe they're Friends of Dorothy, though.